1. What lessons led to this approach? We learn a lot from each project we work on. That knowledge gets distilled into our best practices and adds to a base of experience that we apply to subsequent projects. Often, we don’t think to share this detailed background unless someone asks for it. Ask us for more detail, and you’ll find an opportunity to learn more about the potential risks and rewards of different approaches, and hear how we’ve tuned our decisions to hit the right balance. We’re full of stories, and we’re happy to share more of the background behind our practices or a particular design or technical approach (with due respect to our clients’ privacy, of course). 2. Do you have a few minutes to review feedback with me? Having a conversation about feedback gives us an opportunity to ask questions and build a deeper shared understanding than communicating via email or written notes alone. 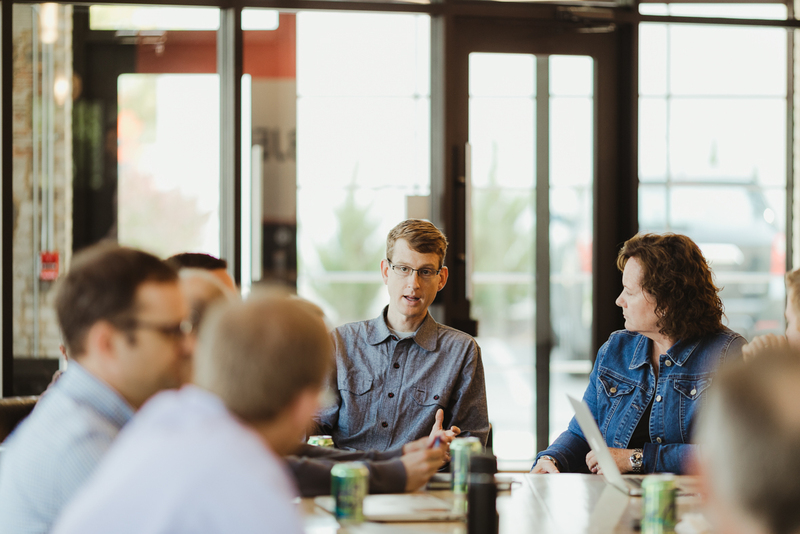 Whether the feedback is about design work, delivered features, requirements on stories in the backlog, project process, or any other facet of our engagement, we often need to have some sort of conversation before taking action. This preference for conversation is reflected in our project process. We hold design review meetings where we can discuss the work together. We hold sprint review meetings where we share newly-delivered features with the team and solicit feedback. We often get together to work out details of stories in the backlog. We’ve found that conversation adds much more than notes alone. 3. How can we test this? Testing is a foundational principal of our work at Atomic. You may not find it in our Value Mantras, but it has been with us from the beginning and is pervasive in our practices. And any of us would be happy to discuss how we might apply our testing mindset to the problem at hand. We find that challenge exciting. Assumptions about user behavior can be tested using analytics from your launched application, paper prototypes, user focus groups, A/B testing, etc.. Questions about a technical approach can be tested by building out a proof-of-concept. Performance can be tested through load testing and performance monitoring. The proper function of a feature can be tested by writing automated tests. Correctness of data can be tested by writing automated tests. Security can be tested using automated scanning tools and other security testing services. 4. Can I pick your brain on something? Inviting us into a forward-looking conversation or present puzzler is a good way to engage with our experience and expertise. It also gives us an opportunity to explore ways to align current work and provide more leverage for the future direction you envision. We’d love to help. But since we can’t read your mind, feel free to take the initiative to ask when you want our perspective on a thought or idea that you haven’t discussed with us yet. 5. What constraints do you think we should try to eliminate? Embrace? Some constraints are good. A target date can provide healthy pressure to avoid scope creep. Targeting a specific user segment can focus design and development efforts. Using a preselected standard language or tool can reduce the burden of selection and help the team get moving quickly. But similar constraints can have a negative effect. An unrealistic target date and scope can set a doomed, demotivating tone for a project. Requiring use of a language or tool that isn’t well-suited to solving the problems at hand will likely reduce the team’s productivity. We can share our experience to help balance the constraints, keeping the useful ones and putting pressure on the harmful ones. 6. Is there anyone else at Atomic your team might want to consult with? Working with a consultancy like Atomic means you gain access not only to the experience and expertise of the consultants on your project team, but also to the larger pool of knowledge and wisdom that our teams have amassed. Sometimes, a couple of hours from an outside perspective or someone with a particular skill set or experience can provide an immense value to your team. We always have this in the back of our mind and engage with others when we see opportunity.